The Dropbox Connector uses an authentication mechanism called OAuth 2.0. 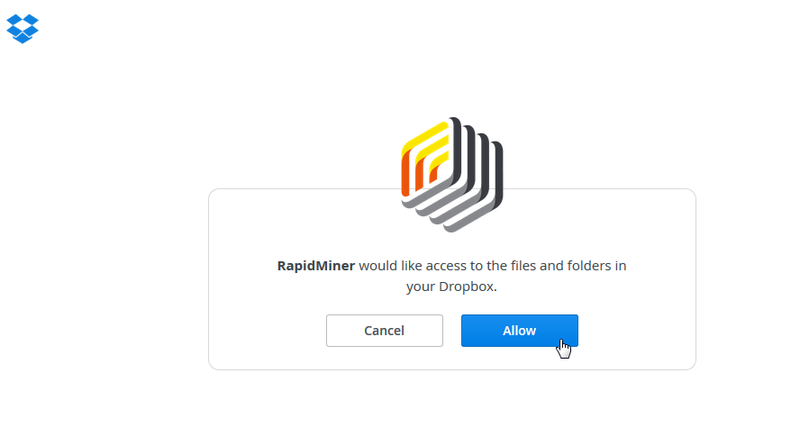 Instead of giving RapidMiner your username and password, you generate an access token that can be used by RapidMiner Studio to connect to your Dropbox account. This token cannot be used by any other applications and helps keep your Dropbox credentials secure. In RapidMiner Studio, select the new process icon to create a new process. Drag the Read Dropbox operator into the Process view, and click on the operator. 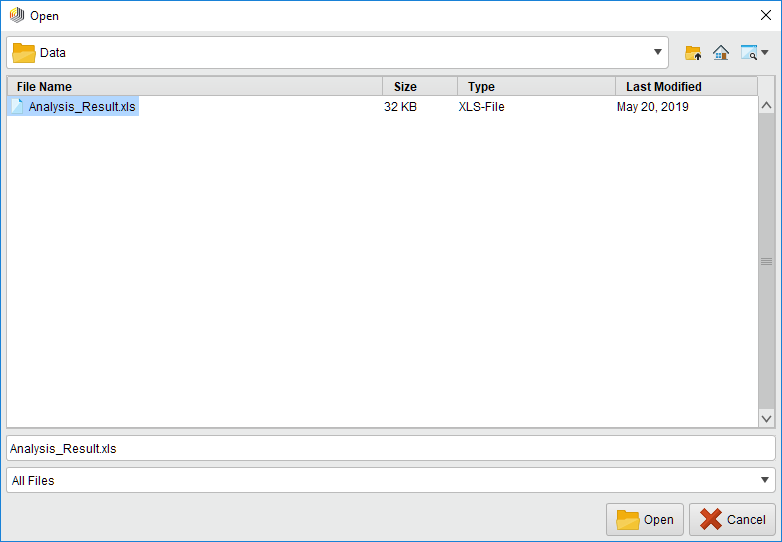 In the Parameters view, click the Dropbox icon to open the Manage Connections window. You can also open Manage Connections through Tools > Manage Connections. Click on Create and select your new Dropbox connection. Click on Request access token to open the Dropbox website in your browser. If you are not already logged into your Dropbox account, you will have to do so now. You can manually copy the URL by clicking on Show URL instead. If the test fails, check whether you copied the complete access token. Close the Manage Connections dialog by clicking on Save all changes. 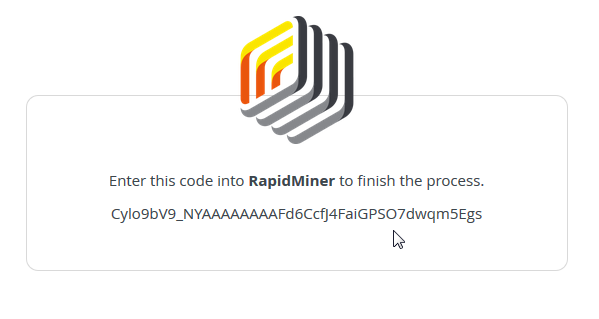 You have successfully connected RapidMiner Studio to your Dropbox account. The next sections will show you how to use this connector to read and write files. Click on the file chooser button to view the files in your Dropbox account. Select the file that you want to load and click Open. As you can see in this example, the Read Dropbox operator works similarly to the Read File operator. It only loads the selected file, but does not process it. The actual processing of the data takes place in additional operators such as Read Excel, Read CSV, or Read XML. The Write Dropbox operator works similarly to the Read File operator: it expects a file as input (provided by another operator) and stores it at the specified location in your Dropbox account. The simplest example using the Write Dropbox operator would be to connect it to the output of Read Dropbox. This setup would simply copy a file from one location in your Dropbox account to another without changing the file itself. We will configure the Write Dropbox operator from the end of the previous section. Click on the Write Dropbox operator, select your Dropbox connection in the Parameters view, and select a location for the new file via the file chooser . Note that by default the Write Dropbox operator does not overwrite existing files. Instead, a number is appended to the file name. For example, if Analysis_Results.xls already exists, the new file would be stored as Analysis_Results (1).xls. You can disable this feature by checking the overwrite parameter (visible in Expert Mode). Run the process and navigate to the location you specified. In the Dropbox online view, you can see that Analysis_Results.xls was successfully updated just a few seconds ago! 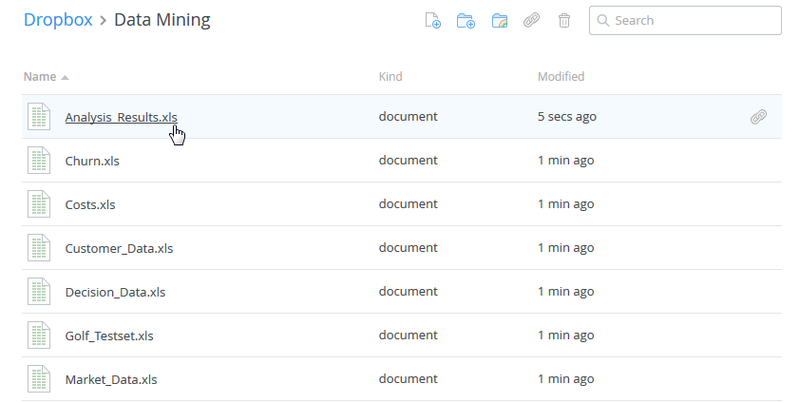 You should now see the new file stored via the Write Dropbox operator.